This programme has been designed primarily from the trading perspective. It is meant for practitioners and participants who have prior knowledge of the basic functioning of the derivatives instruments. Participants who have gone through the BSE Basic Program on Derivatives are also eligible for this Programme. This program broadly covers Futures and Options. It starts with a quick orientation of the basics and moves to simulated strategies and actual derivatives technicals on volatility and greeks. The endeavor is to give the participants an insight into the market dynamics and equipping him with the knowledge to price his derivative securities. This skill enables identification of arbitrage opportunities and obtain an expression to the trading view. The Program equips the participants with a series of combination strategies keeping a tab on the implementation costs. Derivatives fulfill the market need for risk management. The Program also illustrates hedging strategies in lucid detail taking actual cues from experts who consult fund managers regarding hedging effectiveness of their portfolios. All our trainers have hands-on experience in the derivatives market and have been forerunners in derivatives research and trading. Strategy - Greeks: Delta Neutral strategies, Delta - Gamma neutrality, Delta v/s Time; Delta v/s Volatility; Gamma v/s Time and Volatility, Vega, Theta and Rho; Volatility Trading Strategies. Brokers, Sub- Brokers, Dealers, Traders, Derivatives Research and Sales Teams, Foreign Institutional Investors, Financial Institutions, Fund Managers, Corporates, Equity Analysts, Practising Professionals, High Net worth Investors, Bankers. Rs. 6,300.00 + 10.30% (Service Tax + Education Cess) per participant inclusive of course material, tuition fees, snacks and lunch. To provide knowledge about the functioning of derivatives markets, the features of various products, the classification of products, the regulatory framework and the margining mechanism. Terminology - Spot, future price, contract specifications, contract cycle, expiry date, settlement date, basis, mark to market, Contract specification for BSE Sensex, Tick size, Types of orders, Trading strategies, Hedging Strategies, Initial, Maintenance Margins, Executing and Clearing, Execution, Matching confirmation, Clearing Mechanism, Settlement, Settlement price, Settlement cycle, Cash v/s Physical delivery, "Open interest" and "Trading volumes"
Types of risks (Counter-party or credit risks, Market or price risks, Liquidity risks, Legal and regulatory risks, Operating risks), Risk identification and measurement, Methods of risk control (Position limits, VAR, Margins, Operating Procedures and systems etc. ), Separation of trading, settlement, accounting and risk control functions, Internal control structure and Management Information System, Regulatory and external reporting. Participants attending the entire course shall be eligible to receive Participation Certificate from the BSE Training Institute. Rs. 3,850.00 + 12.36% (Service Tax + Education Cess) per participant, inclusive of course material and tuition fees. The 4-day intensive workshop on "Bond Analysis" has been designed in order to provide an understanding of the complexities of the fixed income market. It delves into the details of the bond markets, with an understanding of concepts like duration, convexity interest rate term structures etc. The workshop reinforces the ways and methodologies of fundamentally analyzing fixed income securities markets, concepts of bond pricing, different yield measures, yield curve analysis and their application. It also explains how to assess relative value, risk and return and the key factors in investment trading strategies. It also provides an overview of fixed-income derivatives markets, various instruments, their characteristics and application, hedging and risk management tools thus enabling the participants to trade in the markets in an efficient and intelligent manner. Introduction to Fixed Income Securities and Instruments. Characteristics of Fixed Income Securities. Participants of Fixed Income Securities. Regulatory Framework for Fixed Income Securities. What drives the interest rate in the market? What kind of shape does a yield curve take? Yield to Maturity/ Call/ Put/ Worst/ etc. Importance of Zero and its derivation from market prices. Floating Rate Instruments and their valuation nuances. Understanding and quantifying risks in Fixed Income securities. Swaps- Simple Plain Swaps and others like Accrediting, Amortizing and Roller Coaster Swaps, Basis Swap, CMT swaps, Total Return Swaps, Credit Default Swaps, etc. Key professionals/executives involved in the debt market operations at Banks, Stock Brokers, Corporates, Mutual Funds, Financial Institutions, Foreign Institutional Investors, Traders, Dealers, Consultants and other Professionals. Rs. 18000 + 10.30% (Service Tax +Education Cess) inclusive of workshop fee, study material, computer facility to each participant for hands-on practice, snacks and lunch. This program aims at introducing investors to a new opportunity of investments and to create awareness about basics of Commodity Trading and Commodity Derivatives. Brokers, Sub-brokers, Regulators, Traders, Consultants and other Capital Market Intermediaries. Rs. 4,000.00 + 10.30% (Service Tax + Education Cess) per participant inclusive of course material, tuition fees, snacks and lunch. To provide a broad conceptual framework and understanding of the principles of Corporate Governance, with focus on compliance issues. What constitutes 'independence' of directors? What is the role of non-executive directors? Rs. 2,800.00 + 10.30% (Service Tax + Education Cess) per participant inclusive of course material, tuition fees, snacks and lunch. Areas covered during an inspection audit. Norms for imposition of fines and penalties. Compliance with other allied requirements of the Inspection Department. viz., Submission of Audit Report, Annual Accounts, Net Worth Certificate, Margin Certificate and Unique Client Code. Member-brokers of BSE and their staff associated with the compliance function. Rs. 700.00 + 10.30% (Service Tax + Education Cess) per participant inclusive of course material and tuition fees. The course objective is to provide participants with thorough knowledge of equity research practices in brokerage firms. This course focuses on building professional models and using sophisticated valuation methodologies to arrive at company's fair valuation. At the end, the participants should be able to forecast a full three statement model of a given company and recommend the stock from the buy/sell perspective. Learn the methods used by analyst to evaluate past, current and projected conditions and performance of the firm using techniques like horizontal analysis, vertical analysis and ratio analysis. Investment Bankers, Equity Analyst, Corporate, Banks, Mutual Funds, Broking Houses, Financial Institutions, Fund Managers, Equity Trader, Strategist,Consultants,High Net Worth Investors, other capital market intermediaries, Finance Students, KPO analysts & Investors. Rs. 17,000.00 + 10.30% (Service Tax + Education Cess) per participant inclusive of course material, tuition fees, snacks and lunch. This programme is designed to equip the participants with the knowledge of basic tools as well as the oscillators to be used for the purpose of designing an analysis framework for the purpose of trading. The highlight of the course is to deal with the psychological aspect of trading by developing a trading framework for better investment and trading output. What it is? Why and how it works? The Concept of Support and Resistance. Rs. 14,700.00 + 10.30% (Service Tax + Education Cess) per participant inclusive of course material and tuition fees. To provide the participants with a broad conceptual framework and understanding of Industry practice and compliance issues in corporate governance. ii. The Board as a mechanism of corporate governance. What constitutes "independence" of directors? What should non-executive directors be doing? The need for a legislative statement of directors' duties. Corporate Governance and the Market. Do Institutional Investors have governance responsibilities? Compliance issues and some company responses. Rs. 4,500.00 + 10.30% (Service Tax + Education Cess) per participant inclusive of course material, tuition fees, snacks and lunch. Option Greeks like delta, gamma, theta, vega, rho. Plain vanilla strategies Call spreads, Put spreads, Range Forwards, Butterfly trades, Straddles and Strangles, Condors, Seagulls, etc. Exotic options strategies Binaries, Barriers, Double Lock outs and lock ins, etc. Executives at Treasury desks at Commercial Banks, Co- operative Banks and Corporates and Financial Market Professionals. Rs. 4000.00 + 10.30% (Service Tax + Education Cess) per participant inclusive of course material, tuition fees, snacks and lunch. To provide insights about the product and functioning of the Currency Futures market along with the regulatory framework and the margining mechanism. Corporates / Individuals involved in the operational areas of international trade as well as commercials; Treasury Managers, Bankers, Lawyers, Auditors, Financial Controllers, Finance Managers, Financial Intermediaries ,Currency Dealers etc. Rs. 2500.00+ 10.30% (Service Tax and Education Cess) per participant inclusive of tuition fees, study material, refreshments, lunch and participation certificate. To provide conceptual, analytical and practical inputs for understanding debt instruments and applying tools and techniques of fixed income analytics. Trading Strategies in Debt Markets. Mutual Funds, Investment Analysts, Portfolio Managers, Corporate Treasury & Financial Consultants. Rs. 4000.00 + 10.3% (Service Tax + Education Cess) per participant inclusive of course material, tuition fees, snacks and lunch. Terminology - call, put, writer, buyer, premium, intrinsic value, time value, expiry date, settlement date, strike price, ATM, OTM & ITM, The Greeks - (Delta, Gamma, Theta, Vega). Derivatives Dealers, Stock Brokers, High Net Worth Investors, Portfolio Managers, Insurance Companies, Banks, Financial Institutions and Management Students, Retired Investors. Rs. 2,200.00 + 10.30% (Service Tax + Education Cess) per participant inclusive of course material, tuition fees, snacks and lunch. To provide comprehensive knowledge on market dynamics of fundamental and technical factors that influence the share prices. This unique workshop has been designed to address a pressing demand for evaluating scrips for an equity portfolio, blending theory with practice. Market Dynamics, Selection of scrips on both traditional and contemporary valuation techniques covering all three basis : assets, earnings and market value, computation of stock and portfolio beta, cost of equity, weighted average cost of capital, timely disinvestments and hedging the portfolio using derivatives strategies, equity portfolio construction after assessing the risk profile. Investment Consultants, Equity Traders, Fund Managers, Analysts, FIIs, Stock Brokers, Sub-brokers, Dealers, Corporate Executives, other financial intermediaries and investors. Rs. 4,200.00 + 10.30% (Service Tax + Education Cess) per participant inclusive of course material, tuition fees, snacks and lunch. To Educate on the features and uses of Exchange Traded Funds as an investment product,along with an overview of the global scenario. Financial Institutions, Mutual Funds, Corporates, Investment Bankers, Investment Advisors, Finance Professional, Member-Brokers, other Capital Market Intermediaries Investors and Students. 9.30 am to 5.00 pm. Rs.3000.00 + 10.30% (Service Tax + Education Cess) per participant inclusive of tution fees, study materials and meals. on basic concepts of Finance and Accounts. to read and understand the important and strategic issues in financial statements. Business as an economic entity - difference between firm, partnership and company (both public and private companies). Memorandum and Articles of Association. Concept of trading and manufacturing - value creation. Extensive discussions on common shares, preference shares, debentures, hybrid instruments like convertibles, warrants, money market instruments like CPs, bank financing, factoring, forfeiting, bill discounting etc. Comparative analysis of various sources of funds - competitive advantages and disadvantages. Discussion on authorized capital, subscribed capital, issued capital, paid up capital etc. Understandingcorporate actions like bonus, split, consolidation, right, dividend, buyback etc.-the underlying rationale for each and their impact on the balance sheet and the share price of the company. Concept of gearing / leveraging. Cost of capital. (investment avenues for individuals and companies). Fundamentals of sound investing. Valuations of the business entity - market value, liquidation value and book value. Intangibles like brands, human resources, patents and their valuations. Risks, Introduction to Financial Markets (Capital Markets and Money Markets), Distinctive advantages and disadvantages, Major players, Their roles in the market Products, How to raise funds through the Primary Market (capital and money market), How the secondary markets operate both money and capital markets. Corporate Executives in marketing, production and non-finance functions. Sales Executives, Client Servicing Executives, Account Managers, Customer Support Executives and Call Centre Executives of financial products in banks and other financial intermediaries. Rs. 3,000.00 + 10.30% (Service Tax + Education.Cess) per participant inclusive of course material, tuition fees and meals. With the help of the contemporary approaches available to finance managers with specific reference to using EXCEL spreadsheets. Use of Functions such as Goal Seek, Sort, Filter, etc. Use of Functions such as PMT, Loan Schedule, etc. Use of Functions like Net Present Value (NPV), Internal Rate of Return (IRR), etc. Use of Functions such as Countif, Mean, Mode, etc. Managers and Executives working with Banks, Financial Services, AMC, Hedge Funds, Mutual Funds, Investment Banking, Brokerage Houses, Financial Market Intermediaries, Research Analyst, Portfolio Managers, Risk Managers, Accountants, Project Managers, Managers and Executives in the finance department of manufacturing firms & IT firms. The programme is particularly focused at managers who wish to obtain an insight into use of spreadsheets. Prior understanding of spreadsheets and Excel is not a pre-requisite and the programme would start with the basics of spreadsheet modeling. Rs. 12000.00+ 10.30% (Service Tax and Education Cess) per participant Inclusive of tuition fees, study material, refreshments, lunch and participation certificate. Investment Bankers, Equity Analyst, Corporate, Banks, Mutual Funds, Broking Houses, Financial Institutions, Fund Managers, Equity Trader, Strategist, Consultants, High Net worth Investors other capital market intermediaries, Students & Retail Investors. Rs. 2,000.00 + 10.30% (Service Tax + Education Cess) per participant inclusive of course material, tuition fees, snacks and lunch. Types of Options like range notes, spreads, knock-ins/outs/digital/barrier, leveraged etc. Senior Executives from Banks, Corporates, & Financial Institutions, Dealers, Traders, Brokers, Consultants and other Capital Market Intermediaries. 10.30% (Service Tax + Education Cess) per participant inclusive of course material, tuition fees, snacks and lunch. To provide knowledge and understanding on various provisions related to investments in India and Abroad. Senior Executives from Corporates, Financial Institutions, Banks, Dealers, Traders, Brokers, Consultants and other Capital Market Intermediaries. Rs.2, 500.00 + 10.30% (Service Tax + Education Cess) per participant inclusive of course material, tuition fees, snacks and lunch. To ensure that the students interested to know stock market have adequate opportunity to get knowledge of the Stock Exchange Operations, they are dealing in. Trading on BOLT, BOLT information provider. Trading concept, Pay-In Pay-Out Concept, Types of settlement, Auction & Margin. Understanding of Dematerialization, Types of Depositories, Legal Framework, Depositories Structure & Work of Depositories. Introduction of Indices, Types of Indices, Utility of Index, Free Flow Concept, BSE Indices. Definition, Regulatory Framework, Eligibility norms for listing at BSE, Procedure for listing. How to redress grievance against companies, brokers and sub brokers with exchanges and SEBI. ALL PARTICIPANTS ATTENDING THE ENTIRE COURSE ARE ELIGIBLE TO RECEIVE PARTICIPATION CERTIFICATE FROM THE BSE TRAINING INSTITUTE. Rs. 3,500.00 + 10.30% (Service Tax + Education Cess) per participant inclusive of course material, tuition fees, snacks and lunch. This Programme has been designed for investors and industry professionals. It involves analyzing various schemes and an understanding of how to select best schemes from various categories by reading the mutual fund fact sheets. Mutual Funds are fast emerging as an important form of investments in India. Mutual Funds now have over Rs.7,00,000 crore in assets under management and are growing at a rapid pace. The management of mutual funds is becoming more professional. On the other hand, the regulatory and disclosure framework is now at par with the international standards. This Programme provides the employees of mutual funds, distributors and investors useful and keen insights on various aspects of the functioning of the mutual fund industry. Equity Funds Analysis – Sharpe Ratio, Beta, Jensen’s Alpha, Treynor’s Ratio, Expense Ratio, Tracking Error, Asset Allocation, Portfolio Turnover, Standard Deviation, SIP Benefit, Comparative Performance over past 1/ 3/ 5 years, Investment Styles, Portfolio Changes in Various Schemes, etc. Debt Funds Analysis – Bond Basics, Inverse Relationship, Interest Rate Sensitivity, Liquid, Floating Rate, Gilt & Income Funds, Bond Indices, Average Maturity, Portfolio Management Styles, etc. Financial Planning – Life Insurance Cover Calculation, Retirement Planning, Analyzing Sample Portfolios of Investors, Using MS Excel for Simple Financial Planning, Monthly Budgeting and Monitoring, Net Worth Calculation and Building, Goal Setting & Reaching Target, Taxation, etc. Rs. 2,250.00 + 10.3% (Service Tax + Education Cess) per participant inclusive of course material, tuition fees, snacks and lunch. To understand the implications of changing importance of IFRS in the International Financial presentations and appreciate the process of migration in adopting IFRS. Global capital Financial Markets What’s Next? CFO’s and Sr. Executives in Finance Department of the Companies. 3000 + 10.30% (Service Tax + Education Cess) per participant, inclusive of course material, tuition fees, refreshments and lunch. Payment via DD in favor of “Bombay Stock Exchange Ltd.”, payable Mumbai. Insider trading means trading of a corporate's securities by the insiders, viz. directors, management personnel, shareholders, etc. of the corporate based on some unpublished price sensitive information. Insider trading brings prices closer to their fair values; insiders enhance market efficiency. Thus, mere Insider trading may be perfectly legal, but the term assumes notoriety when such trading takes place based on material non-public information obtained during the performance of the insider's duties at the corporate or misappropriated otherwise. The prevention of insider trading is widely treated as an important function of securities regulation. Accordingly, the securities market regulators, all over the world, have been making efforts to put in place a proper regulatory framework to prohibit insider trading, if not able to prevent it completely. Takeover of companies is one of the most important corporate restructuring tools. It is a well accepted and established strategy for corporate growth. A takeover bid is generally understood to imply acquisition of shares carrying voting rights in a company, substantive enough to control the company, in direct or indirect manner. The process of takeover must provide equality of treatment and opportunity to all shareholders and more importantly, protection of interests of minority shareholders. Most of the securities market jurisdictions have put in place safeguards in the form of regulations based on the principles of fairness, transparency and equity. With the process of liberalization and globalization of Indian economy, the market for takeovers has become significantly active. As these concepts, viz. insider trading and takeover, have assumed significance in the Indian corporate world, BSE has designed a one-day workshop to help participants understand the existing regulatory framework in India, based on case studies. Rs. 2250.00 + 10.3% (Service Tax + Education Cess) per participant inclusive of course material, tuition fees, snacks and lunch. To enlighten & make aware the Middle & Senior Management about the Internal controls & Financial Reporting System, which are established to guard against losses resulting from employees' oversights and fraud. Internal controls are essentially checks and balances within a company. Their objective is to prevent fraud, limit financial losses and reduce errors and omissions on the part of key employees. Internal Control Concept, Prelude, Result & Solution of Internal Control. Corporate Governance and Internal Control, Ethics, Role of Management, Role of a Competent Board & Auditors, Corporate or Accounting scandals Case Studies. Framework for Internal Control, COSO's Internal Control Frame work, Internal Control System, Information and Communication. Cobit Frame work, Internal Financial Control, Code of Conduct. Financial Reporting, Traditional Financial Reporting, Quality Financial Reporting, Emerging trends, Financial Reporting Models, Regulatory frame work, Case Studies on the Importance of Internal Control & Financial Reporting. Middle & Senior Level Management, Internal Auditors working with Banks, Financial Services, AMC, Hedge Funds, Mutual Funds, Investment Banking, Brokerage Houses, Financial Market Intermediaries, Research Analyst, Portfolio Managers, Risk Managers, Accountants, Project Managers, Middle & Senior Level Management in the Marketing, Finance, HR department of manufacturing firms & IT firms. Rs. 4500.00 + 10.30% (Service Tax + Education Cess) per participant, inclusive of course material and tuition fees. Surveillance, Risk Management and Securities Settlement have emerged as critical factors for successful functioning of stock exchanges in the background of growing integration of domestic markets with global finance and also harmonization of best practices in securities markets. The programme is envisaged to explain various facets of Surveillance, Risk Management and Securities Settlement and equip the participants with assessing, monitoring and managing these aspects with greater efficiency and efficacy. Bombay Stock Exchange Ltd., Mumbai, India. (Includes single room accommodation in a reputed hotel, airport pick up and drop facility, local transportation from hotel to venue and back, tuition fees, cost of study materials, lunch & refreshments and field visits in Mumbai). To provide knowledge about the investing logic and philosophy behind the investment decisions of great investors and fund managers of all times. To create a platform for discussions and deliberations of classic investment ideas . Address by an eminent guest speaker on investing in India. Lengthy Q&A followed by informal discussions and networking with the guest speaker. Executives associated with the Funds Management function at Mutual Fund Asset Management Companies and Portfolio Management Service Companies. Brokers, Sub-brokers, Financial Intermediaries and Investment Consultants. Portfolio Managers and Investment Advisors. Important Guidelines / Directions issued by SEBI/RBI/Government for IPO's. Rs.7500.00 +10.30% (Service Tax + Education Cess) per participant inclusive of course material, tuition fees, snacks and lunch. To make provisions for the formation and regulation of limited liability partnerships and For matters connected therewith or incidental thereto. This Act may be called the Limited Liability Partnership Act, 2008. Rs. 2000.00 + 10.30% (Service Tax + Education Cess) per participant inclusive of course material, tuition fees, snacks and lunch. To provide a comprehensive overview of the major facets of financial restructuring. To help in determining the strategic perspectives of Mergers & Acquisitions and the procedures involved with these. To address the key legal, accounting and tax issues involved in an M&A deal. Types of Restructuring- When are these strategies most appropriate ? Rs. 5,000.00 + 10.30% (Service Tax + Education Cess) per participant inclusive of course material and tuition fees. Mutual Funds are fast emerging as an important form of investments in India. Mutual Funds now have over Rs.5,00,000 crore in assets under management and are growing at a rapid pace. The competition is getting intense by the day. The management of mutual funds is becoming more professional. On the other hand, the regulatory and disclosure framework has now reached international standards.This programme launched by BSE Training Institute provides employees of mutual funds, distributors and investors useful and keen insights on various aspects of the functioning of the mutual fund industry. 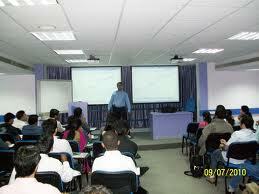 To provide knowledge about the organisation and management of mutual funds. To provide fund distributors the knowledge and insights required for them to become better agents and informed investment advisors. To provide mutual fund employees with an understanding of the complexities of the mutual fund functions internally and externally. To provide investors with the knowledge of risks and rewards of investing in mutual funds. To equip financial intermediaries like agents, brokers, sub-brokers and employees of mutual funds to pass the AMFI Certification Test. Investing in Mutual Funds: Understanding the Process, Investment Objective. Role of an Intermediary as a "Financial Planner"
Strategies & "How to make Mutual Funds work for you"
Rs. 4,200.00 + 10.3% (Service Tax + Education Cess) per participant inclusive of course material, tuition fees, snacks and lunch. A general revision of Fixed Income Maths-Interest Rates, Day Count Conventions, Migration from one interest rate to another, YTM, Duration, Convexity, Zero Curve and its derivation, Par Yield, Swap Curve. Approach to derivative pricing and consequently the market structure of constructing them from available market products. Broad approaches to the use of the various products and how to choose between competing products. Understanding FRA and its pricing approach. Using alternatives where available. Understanding options and how they differ from other products. Understanding Swaps and their structures. Exercise 4 : Pricing a currency swap and Interest Rate Swap. Session 4For time over-runs, revisions, discussions, questions and answers. Rs. 15,000.00 + 10.30% (Service Tax + Education Cess) per participant inclusive of tution fee,study material and meals. This programme has been designed to explain various facets of Surveillance, Risk Management and Securities Settlement and equip the participants with assessing, monitoring and managing these aspects with greater efficiency and efficacy. Market Intermediaries, Risk Management Professionals, Surveillance Personnel, Compliance Officers, Financial Institutions, Corporate, Banks, Investment Consultant, Portfolio Managers etc. Rs. 15000.00 + 12.36% (Service Tax and Education Cess) per participant inclusive of course materials, tuition fees and lunch and refreshments. To educate the participants about various techniques to read and understand the charts and combine it with various analytical tools for making investment / trading decisions. Rs. 3,500.00 + 10.3% (Service Tax + Education Cess) per participant inclusive of course material, tuition fees, snacks and lunch. 1. How these work from the perspective of issuers and investors? 2. What are the components of these products? 3. What are the risks in these products? Session 1: Role Play exercise with Structured Investment Products with one live case. The objective is to share the perspectives of the traders, sales team, investors, regulators, product managers etc. through a role play. Sessions 3 and 4: Pricing and View based strategies for Structuring Investment Products (forward, futures and options pricing and trading strategies). This would lay the foundation for manufacturing these products. Session 5: Case Study with some Structured Investment Products: The objective is to apply the understanding and decompose some of the existing products into their pieces. Private Banking Sales Professionals, Wealth Managers, Investment Advisors, HNIs, Corporate and Commercial Bank Relationship Managers, Treasury Managers, Structured Finance Executives, Mutual Fund Managers, Portfolio Managers, Fund & Investment Managers. Rs. 2500 + 10.30% (Service Tax + Education Cess) per participant, inclusive of course material, tuition fees, refreshments and lunch. Dividend Discount Model, Case Study on the same. Valuation in Merger and Acquisitions. Rs. 12,000.00 + 10.3% (Service Tax + Education Cess) per participant inclusive of course material, tuition fees, snacks and lunch. To provide an overview of the Venture Capital/Private Equity industry, regulatory framework, types and role of venture capitalists, due diligence procedures, valuation approaches, exit routes etc. Start-up ventures, Medium-sized listed companies, Investment Bankers, Bankers, Entrepreneurs and other market intermediaries. Rs. 8,000.00 + 10.3% (Service Tax + Education Cess) per participant inclusive of course material, tuition fees, snacks and lunch. Investment in fixed assets needs thorough planning. Once done, these ,however,lend themselves to certain levels of inflexibility as they become sunk costs. The focus, therefore, should move to Working Capital since it lends itsef to and is more amenable to certain degree of control in the hands of the management. Operating Cycle, Production Cycle, Distribution Cycle, Pipeline Inventories, Factors Determining Working Capital Requirements, Importance of Optimum Working Capital, Working Capital Policy and Management, Profitability v/s Liquidity. Permanent-Temporary, Financing Working Capital, Working Capital Monitoring and Control. Estimation Procedure, Working Capital Based on Operating Cycle, Different Components of Working Capital, Estimation of Working Capital Requirements. Cash Management, Factors Affecting Cash Needs, Cash Budget, Control Aspects, Managing The Float, Investment of Surplus Cash. Costs And Benefits of Receivables, Credit Policy, Credit Evaluation, Credit Control, Factoring and Receivables Management, Forfeiting, Evaluation of Credit Policies. Types of Inventories, Cost of Maintaining Inventory, Techniques of Inventory Management, Risks in Inventory Management. Types Of Spontaneous Sources, Trade Credit, Commercial Paper, Annualized Cost Of Financing, Types Of Bank Credit, Other Sources of Short Term Financing, Regulation of Bank Credit In India. This two-day workshop has been designed to develop knowledge about influence of macro economy on the equity and other financial markets. Variousaspects analyzed include the monetary and fiscal policies, the external sector; productivity, investments and profits. Commonly used measures of inflation, Role of inflation in the economy, causes and problems of inflation, Impact of interest rates in the economy. Stance of monetary policy measures in the latest monetary policy announced and its impact on the financial sector and the economy, current budget highlight with annual financial statement. Money market instruments, volumes and trends in rates, Overview of Government securities market, public sector units bond market, Corporate bond markets, Nature of bond market pre and post reforms. Rs. 8500.00 + 10.30% (Service Tax + Education.Cess) per participant inclusive of course material, tuition fees and meals. Secondary Markets, Trading Clearing and Settlement, Rolling Settlement, BOLT, Mutual Funds, Dematerialisation of Shares, Surveillance, Sensex and Other Indices, Futures and Options, Primary Markets, Book Building & IPOs, Listing, Debt Market, Investors' Grievances Redressal Systems of BSE, Fundamental Analysis, Technical Analysis. Rs. 5,600.00 + 10.30% (Service Tax + Education Cess) per participant,inclusive of tution fee, study material and lunch. To train market participants on the depository services, CDSL, in association with BSE, has launched a certification programme : BSE's Certification on Central Depository (BCCD). The programme is intended to give a certification that a successful candidate is in possession of an acceptable level of knowledge of depository services. Persons interested in taking the test in Mumbai may approach the BTI with 4 passport size colour photographs and a DD of Rs. 828.00 drawn in favour of "Bombay Stock Exchange, Limited" payable at Mumbai. Persons interested in taking the test at any of the centres other than Mumbai (i.e. Delhi, Kolkata, Chennai, Ahmedabad, Rajkot, Cochin) may approach the respective centres with 4 passport size colour photographs and a DD of Rs.828.00 drawn in favour of "Bombay Stock Exchange, Ltd." and payable at the respective centre. Rs. 828.00 payable through DD in favour of "Bombay Stock Exchange, Limited" payable at Mumbai per participant per attempt inclusive of test workbook, Service Tax and Education Cess. For appearing at Regional / BSE Investor Service Centers at New Delhi, Ahmedabad, Rajkot, Kolkatta, Chennai and Cochin. Rs. 828.00 payable through DD in favour of "Bombay Stock Exchange, Limited" payable at the respective 6 regional center as stated above per participant per attempt inclusive of test workbook, Service Tax and Education Cess. To provide comprehensive knowledge on the features of BOLT and practical training in BOLT operations. Employees of Member-brokers, Sub-brokers, Dealers, Traders, Custodians, Clearing Houses, Clearing Banks and other capital market intermediaries. Rs. 1,750.00 + 10.30% (Service Tax + Education Cess) per participant inclusive of course material, tuition fees, snacks and lunch.